In 1986 I flew on my own from a remote airport in Amazonia to Miami in a recklessly-maintained aeroplane. I was keen to get to an English-speaking country after struggling conversation-wise in Portuguese-speaking Brazil where I had just spent six weeks on a sponsored study tour. I was therefore bitterly disappointed to discover that most people I encountered in Miami spoke Spanish. Tens of thousands had fled Cuba after the revolution and had stuck to their culture and their language. I suspect nothing will have changed much in the intervening 30 years except there will be more Spanish-speaking citizens all over America thanks to the porous Mexican border. Mr Trump wants to build a wall to stem the tide. Previous administrations had already started this wall; to date around one-third has been completed. The remaining two-thirds however will encounter difficult terrain including mountain ranges and rivers and will cost a small fortune. No, make that a large fortune. I suspect the Australians have the same distaste for us as many Americans have for the “illegal aliens” who pour over their border. The Tasman Sea hasn’t stopped tens of thousands of kiwis fleeing to the lucky country seeking fame and fortune with the vast majority finding neither. 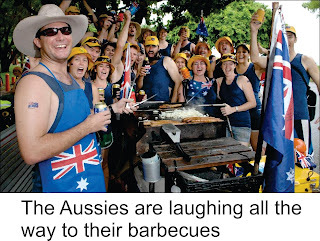 The Aussies are not happy and so there is retribution. First off, despite the Kiwis paying taxes like everybody else, they are denied welfare of any kind. And then last week Prime Minister Turnbull said no more subsidising of New Zealanders who study at their tertiary institutes. To some extent we only have ourselves to blame. We gave them “Mr Asia” and Joh Bjelke-Petersen and are constantly thrashing their hapless rugby teams. Claiming dubious ownership of Phar Lap, Pavlovas and Russell Crowe will hardly have endeared us to the mainstream Australian and I’ll bet they think ill of us for having the temerity to rename Chinese gooseberries, kiwi fruit. On a per-capita basis our ex-pats apparently commit more crimes than any other nationality in Australia and once sentences have been served they’re thrown in to a detention centre on some remote island surrounded by sharks and eventually deported back to the land from whence they had once fled. 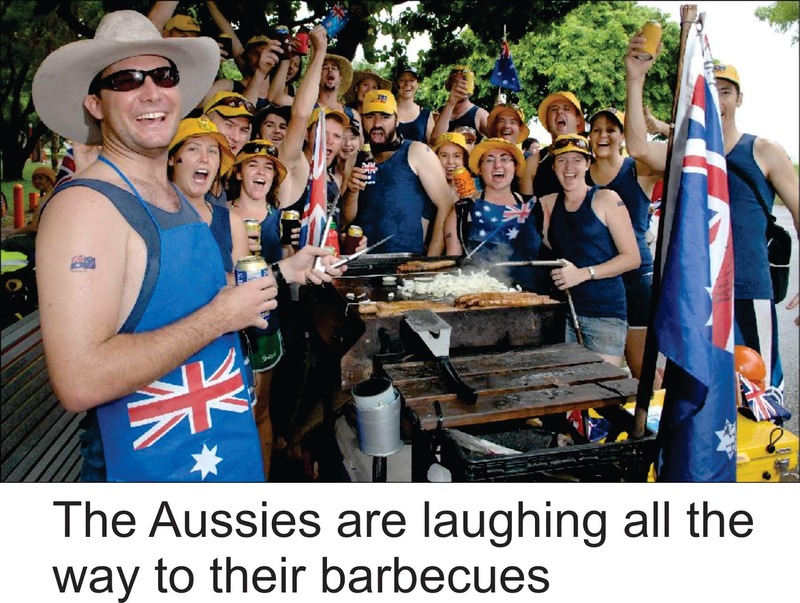 Game, set and match to Mr Turnbull and the Ockers are laughing all the way to their barbecues. Mild-mannered Kiwis take all this in their stride. In America the rent-a-protest crowd are constantly rioting in the streets, but no one here, with the possible exception of Labour’s Kelvin Davis, could give a tinkers cuss. From Miami I flew to Los Angeles where the nervous man behind the airport counter told me that President Reagan had bombed Gaddafi’s compound in Libya and accidentally killed Gaddafi’s daughter, Hana. Gaddafi had threatened to retaliate with a terror attack on one of America’s major airports. Suddenly recklessly maintained aeroplanes and foreign languages didn’t seem all that important.